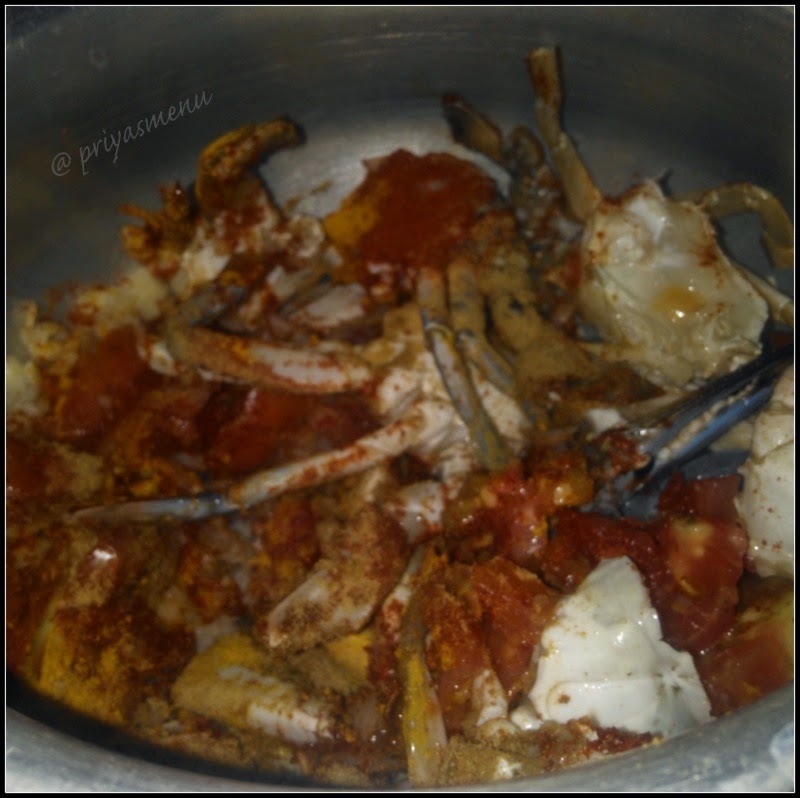 Though the flesh part is less compared to other seafood, every bite tastes very delicious and tasty. 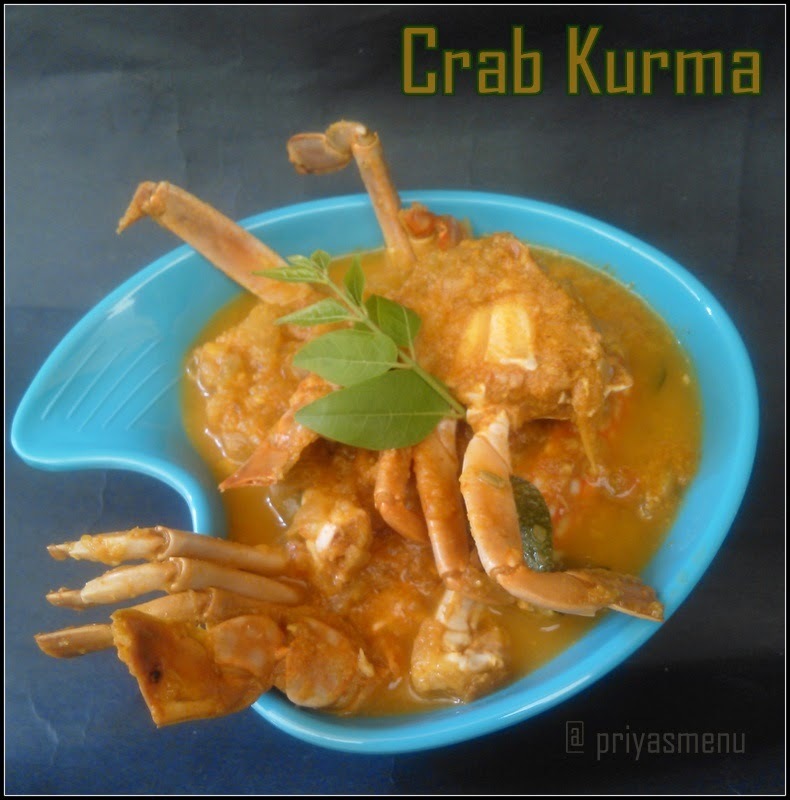 Crab Kurma is a flavorful curry in which crab is cooked along with spices and finally simmered with coconut paste to give rich flavor. 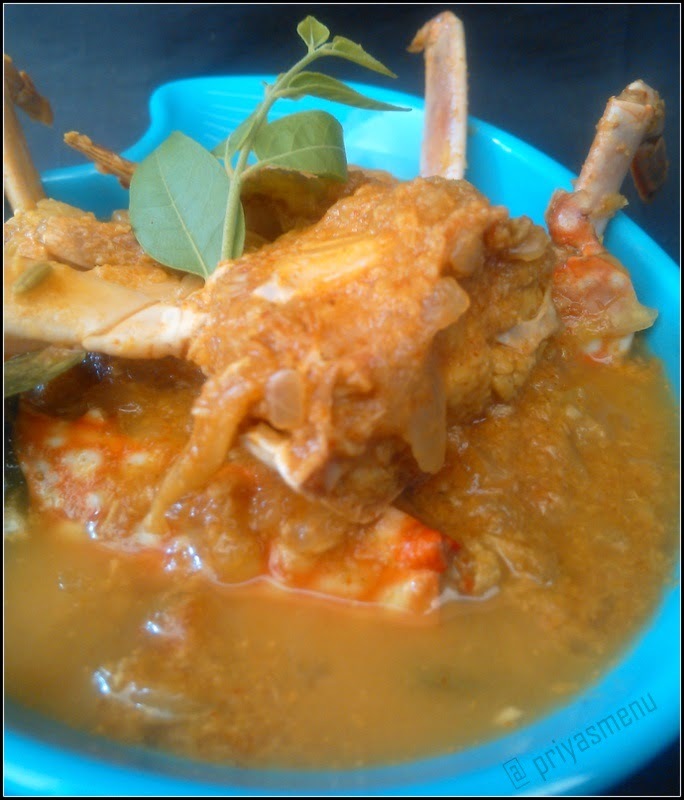 This goes perfect with hot rice and sometimes, I prefer this with Dosa and Idli. 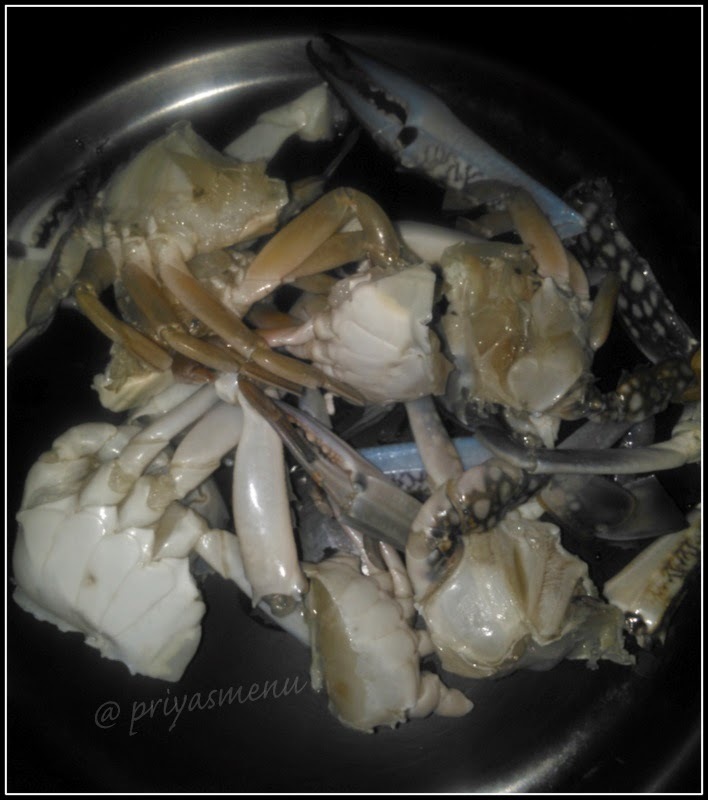 Clean , wash and cut the crabs into half and keep aside. 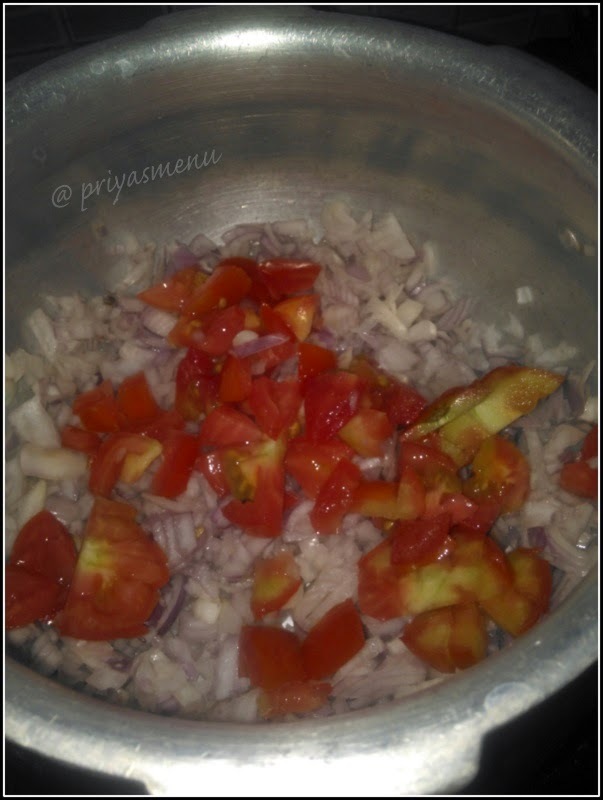 Take finely chopped onions and tomatoes in a pan. 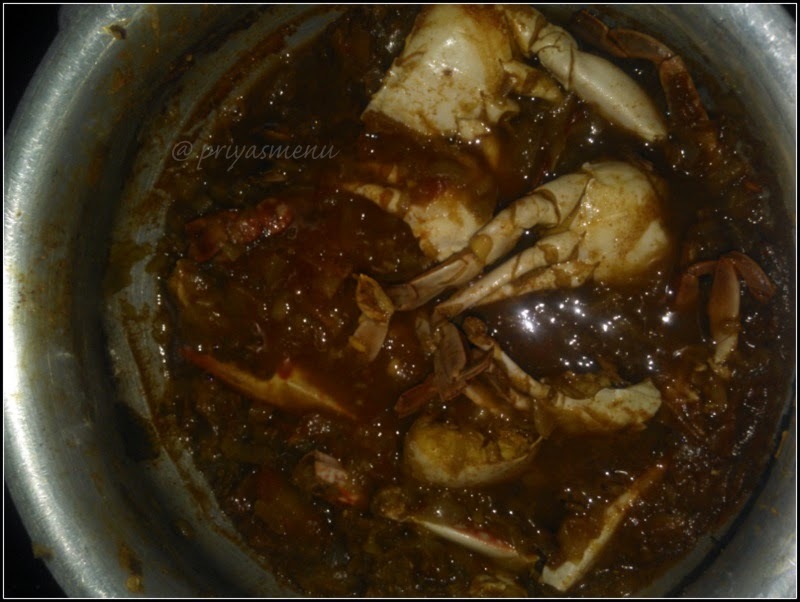 Add crabs followed by Turmeric powder, Chilli powder, Coriander powder and Salt. 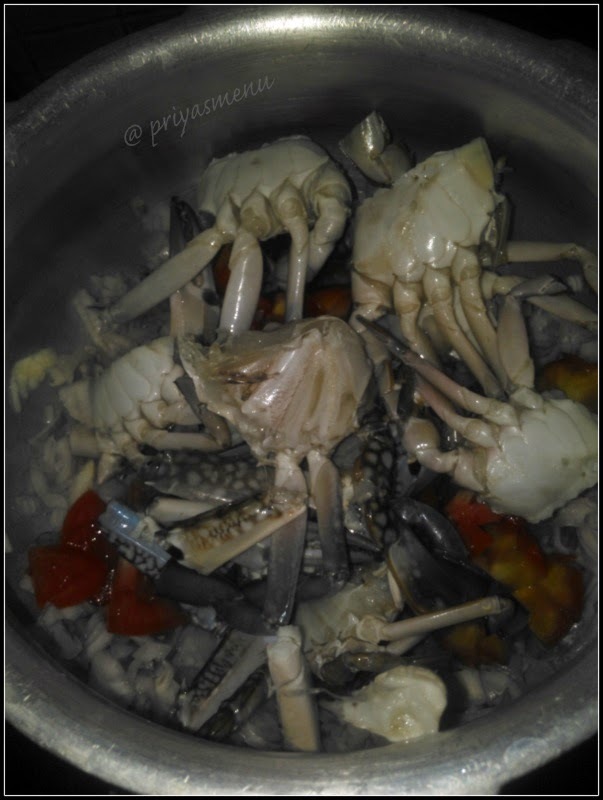 Pour the measured water and cook for 15-20 minutes in a medium flame or till the color of the crab changes to pink/pinkish red. Cook for 2-3 minutes and garnish with curry leaves. 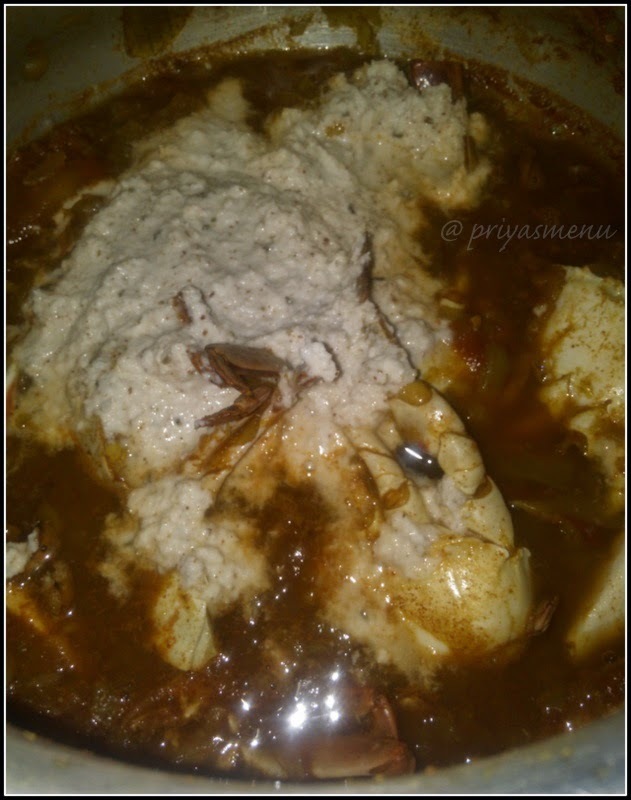 Serve with hot rice, Idli or Dosa. 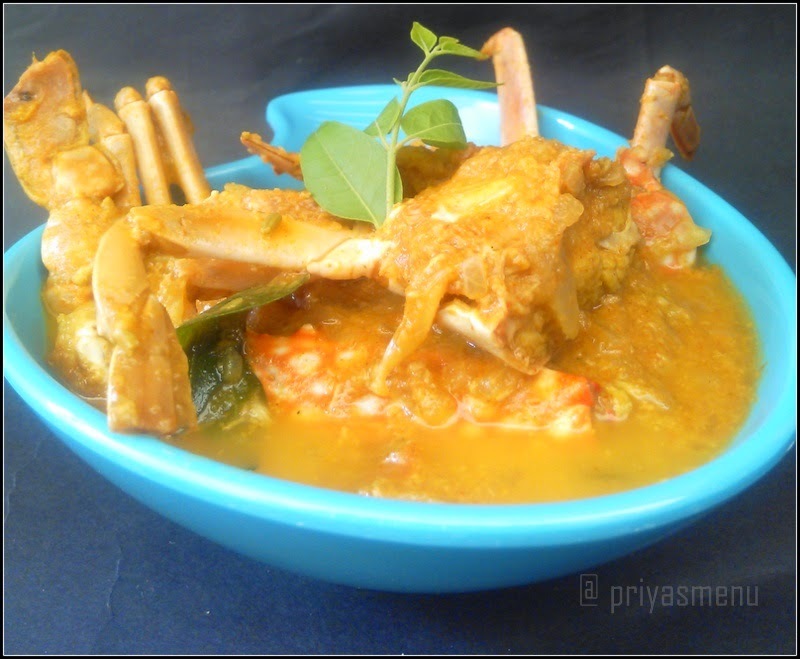 Crabs are my fav... and this dish looks too delicious . 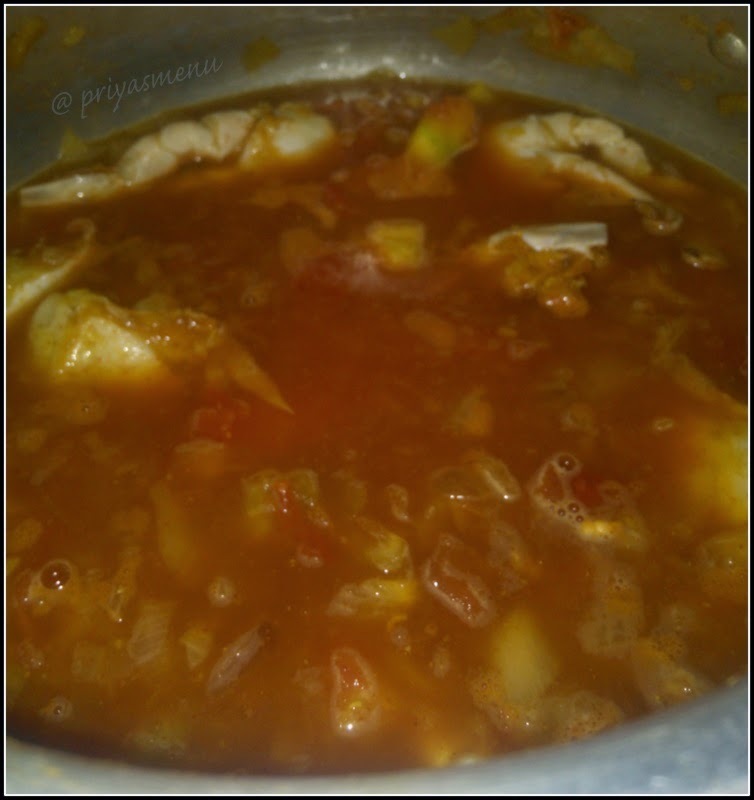 Mouthwatering kurma, its been ages i had this kurma.